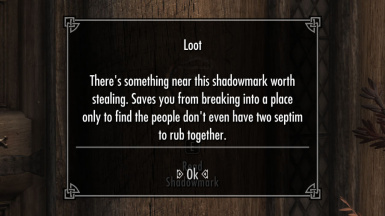 Hey, fellow thieves. Now you can read shadowmarks directly! 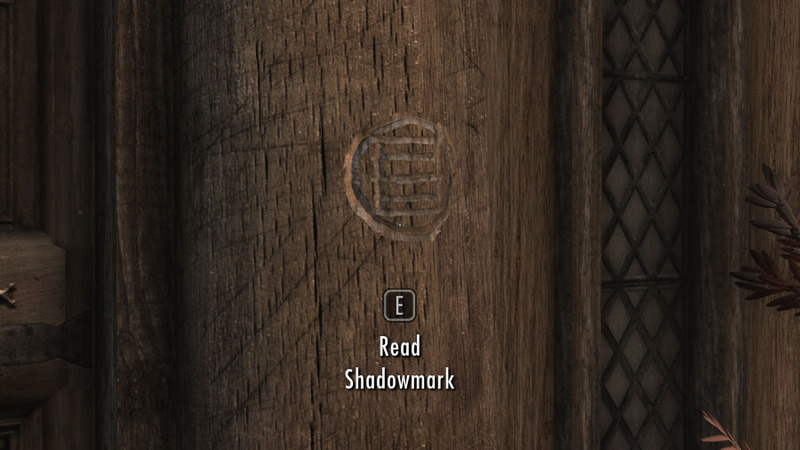 Readable Shadowmarks - German Dies ist der orginal Mod und ist zwingend erforderlich. 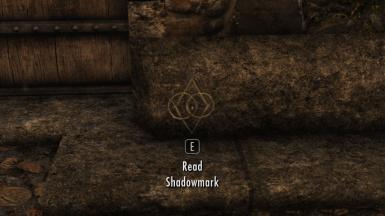 New feature: You need to be a member of thieves guild before you are able to read shadowmarks. New text option: "Name only" for anyone who wants to have a short and clean message. Now you can read shadowmarks directly! New feature: Add Thieves Guild as a requirement. 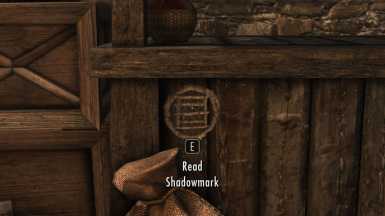 Shadowmarks are secret code for thieves guild members only. 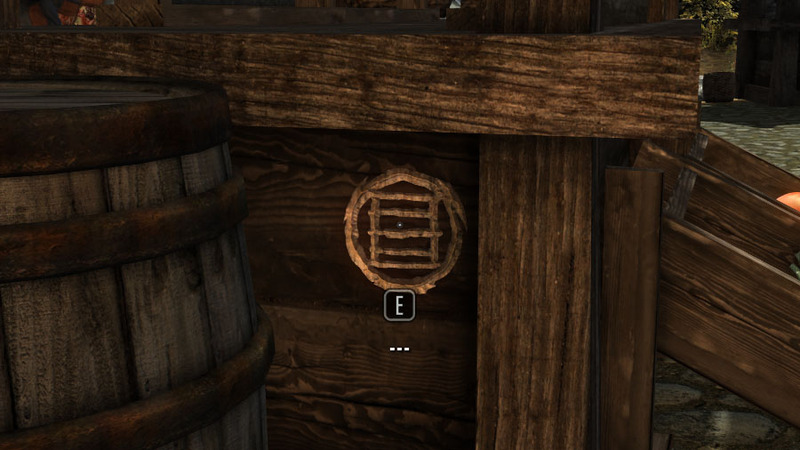 You can read them after you have been welcomed into the Thieves Guild by its Guild Master. Oh.. You are not one of us? Ha! You can't read it. Show name and meaning of each symbol based on Shadowmarks book. For anyone who wants to have short and clean messages. Simply download and install with mod manager. 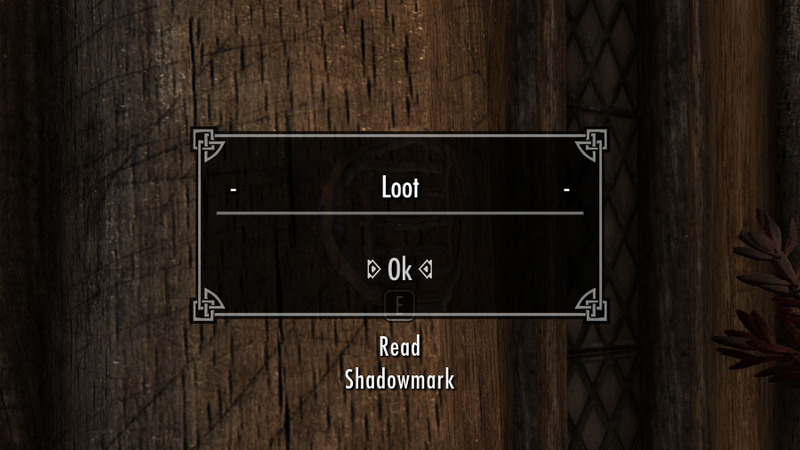 This mod doesn't alter shadowmarks directly. It adds new invisible activator object at the same place as shadowmarks. 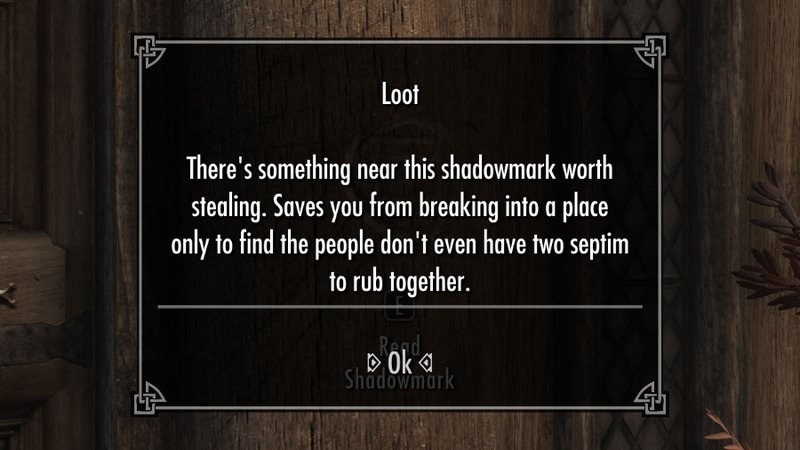 Any mod that adds new shadowmarks. Note: My mod is not covered new shadowmarks. It's still passive. 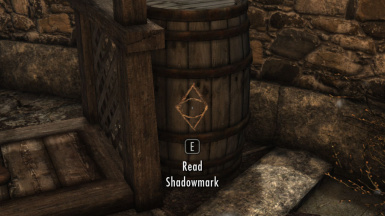 Any mod that changes the texture of shadowmarks. 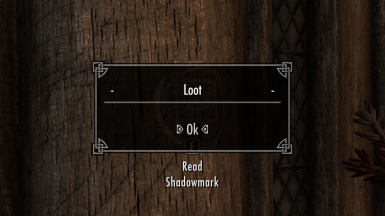 Any mod that changes the position of shadowmarks. If you found something wrong, please follow this instruction. 1. Report it in BUGS section. 2. Explain the problem in detail. 3. 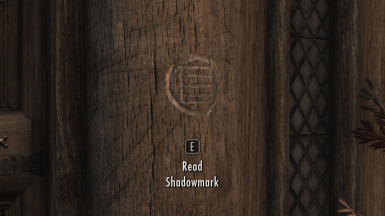 Post the screenshot of shadowmark and location(map). PeterMartyr, especially Masterofnet and cdcooley for answering my question in Nexus forum. hishutup for Open Cities Skyrim xEdit Converter.